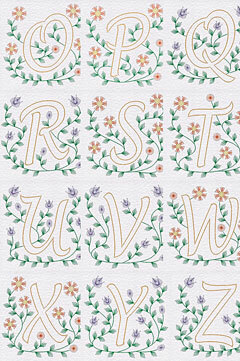 The remaining initials have been added to the PinBroidery pattern collection. They are available individually and also in three sets: A to G, H to N and O to Z. See the patterns in the Initials section of our online store. This entry was posted in PinBroidery and tagged new patterns on Sunday 10 January 2010 by David Jefferson.